I challenged myself to create a layout with as little products as possible. Meaning, to use as few pieces of papers, rub ons etc. I think I managed to create a cute layout under 5$!! it's less than acup of coffee! 1. Use double sided cardstock. You can use one piece for each side. 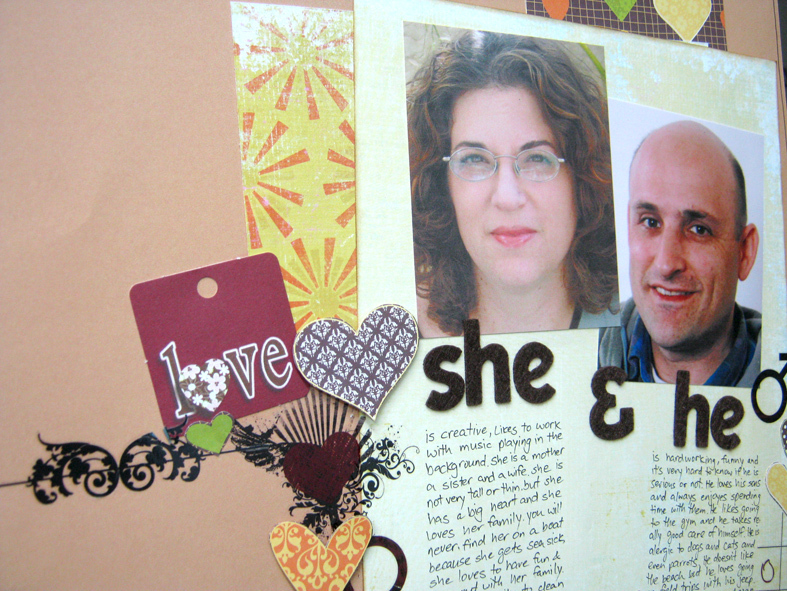 In this layout I used two pieces of card stock (other than the background paper) - The hearts on one side and the stripes on the other, and the yellow suns with the cream color on the other side. 2. 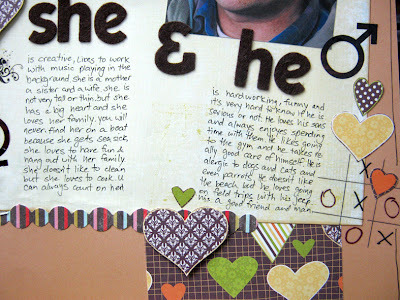 Use the pattern on the paper for embellishments. 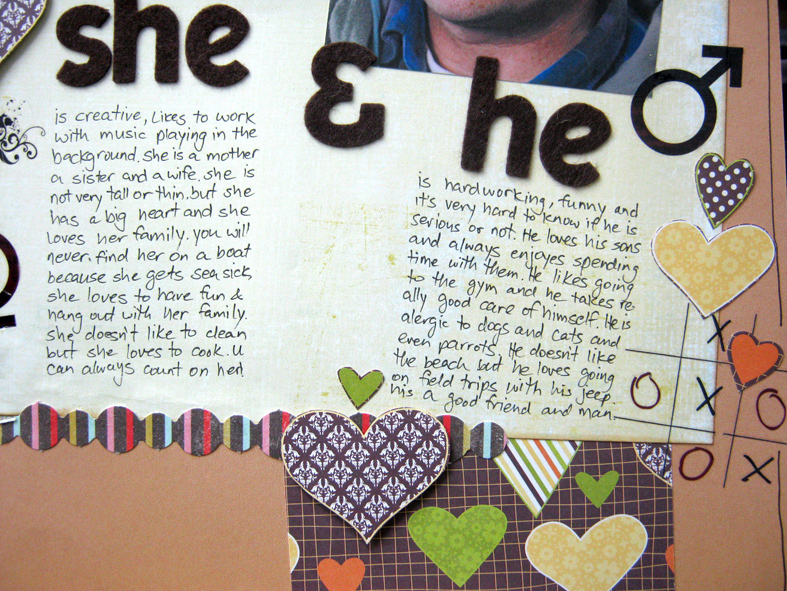 I cut out hearts from the paper and added them to the layout. I used different sizes as well as them in different heights with 3D adhesive. 3. Add leftover embellishments. I always have left over embellishments such as rub-ons, letters or tags, you know, those lonely pieces that are left after you used everything else on that set. Gather all those lonely pieces and see what goes with what. You'll be surprised that different sets of embellishments sometimes go really well together. This way you get rid of those annoying leftovers! I matched different black rub-ons from different sets and companies. 4. Add pieces of ribbon. There is a misconception that there is nothing to do with small pieces of ribbon.Well...that's not true! I took a little piece folded it into half and added it as an embellishment. 5. Create your own embellishments. Use a pen to add a funky frame or other doodling or drawing. Great layout! Love the use of scraps! Love the thriftiness of it all! Very cute LO...and it's so fun to use up what we have!